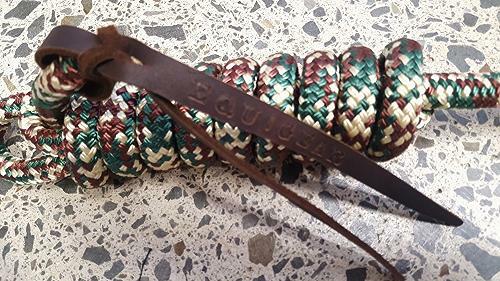 All Equigear rope tack is made from top quality Australian made polyester equestrian rope sourced 100% from the one supplier (same as yachting rope but softer). The Equigear branded leather poppers are made from real hand cut leather using a professional press. 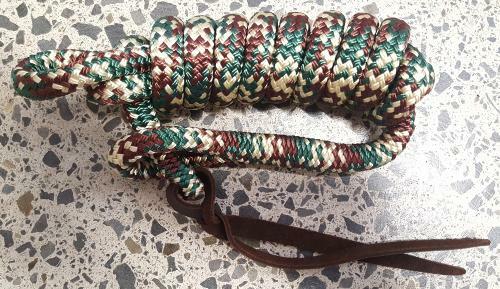 This 8ft Camo coloured loop end lead rope is not sold with a clip attached.